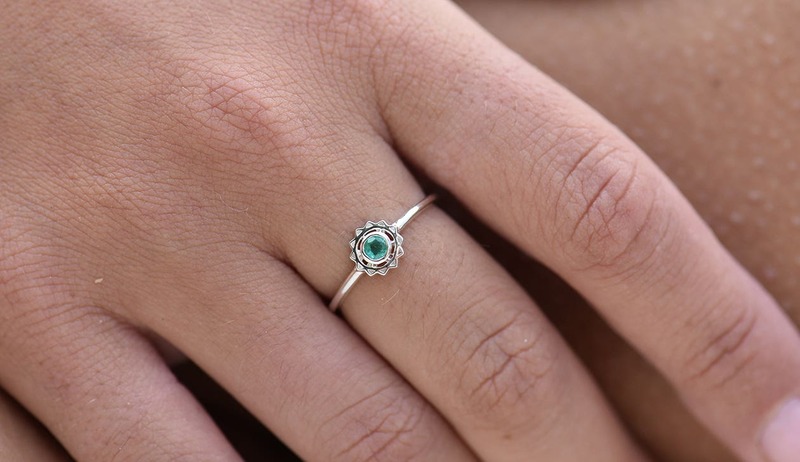 Heart Chakra Ring is currently out of stock, however this piece can be specially hand made for you in 4-8 weeks after your online order has been completed. Hand made from 925 Sterling Silver, set with an emerald. Anahata is the heart chakra. When we awaken Anahata we can experience the power of love, compassion, forgiveness, and gratitude. When this Chakra is blocked we can become possessive and co-dependent, tending toward dysfunctional relationships. When Anahata is flowing in balance we can open our hearts without fear, let go of old wounds and embrace life, loving unconditionally and creating healthy relationships. Emerald is love crystallised. This wonderful stone helps to open the heart and clear the emotional field, it clears and strengthens the heart on all levels. It helps us to view people and circumstances with compassion and understanding. This is also a good stone to heal the wounds of the past and let go of beliefs that limit our future potential.